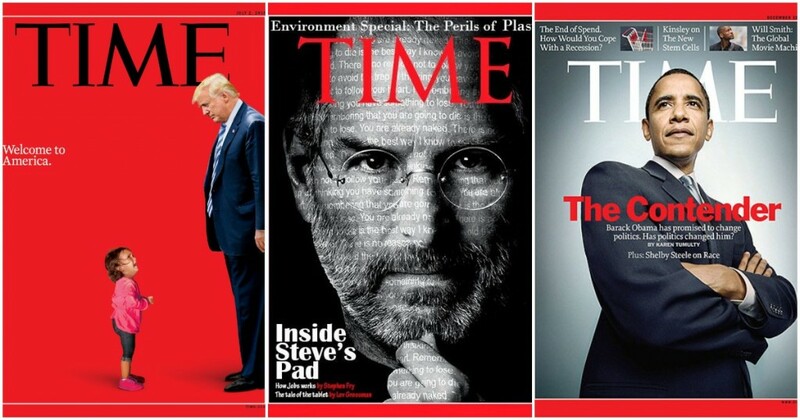 Time, the iconic magazine which was founded in 1923 and running weekly editions ever since, has been sold to Salesforce.com CEO Marc Benioff. Benioff paid $190 million (Rs. 1,300 crore) for Time in cash, and says he won’t interfere with the day-to-day functioning of the magazine. Time was best known for its memorable covers, and its Person of the Year feature, which had been running since 1927, and had covered people like Hitler, Stalin, Martin Luther King and Jeff Bezos. While Benioff isn’t the first tech CEO to have picked up a large media property — Jeff Bezos owns Washington Post, and Steve Jobs’ widow is the minority shareholder in The Atlantic — what’s surprised media watchers is the price at which Time was sold. $190 million isn’t very much for an iconic, nearly-century old media company which is respected both by the general public and its media peers. News about Time’s Person of the Year announcements are carried even by rival publications, as is Time 100, its annual list of the 100 most influential people of the year. Among the Indian members of the Time 100 have included Virat Kohli, Deepika Padukone, and Paytm CEO Vijay Shekhar Sharma. But with a personal net worth of over $1 billion, Sharma was worth far more than the company that was bestowing him with the honour of being among the most influential people in the world. His startup, Paytm , is valued at over $10 billion, and worth several times than the $190 million that Time was sold for. This is also true for other Indian unicorn startups, including Swiggy, Zomato, Quikr, and ShopClues. But at $190 million, Time was valued lower than even second-rung Indian startups — Mobikwik, for comparison, is valued at $279 million, while Lenskart is valued at $400 million. Indian tech startups being valued more highly than a century-old global media giant not only points towards how valuable India’s tech startups really are, but also shows how traditional media businesses are struggling in the 21st century. Time’s print circulation was over 3 million in 2012, but had fallen to 2 million by 2017. Its digital properties gets 31 million visitors a month, but these numbers are dwarfed by those of new-age digital media players. Buzzfeed, for comparison, gets 130 million monthly visitors, and is valued at over $1 billion. Tech blog Gizmodo gets 70 million visitors a month, while WittyFeed, an Indian site that produces viral listicles, boasts over 100 million monthly unique visitors. Media companies which have been unable to navigate the digital divide have quickly seen their readerships erode, and their valuations plummet. And this seems to be true no matter how large the brand, or how iconic its presence on the media landscape. But there still might be time left for Time — it’s been bought over by the CEO of a $100 billion tech company, and if it can engineer a digital turnaround, Time might just return to its glory days of old.